AGUADILLA, Puerto Rico – Caribbean Border Interagency Group (CBIG) federal law enforcement authorities along seized $190,000, a 5.56mm semi-automatic weapon, and approximately 300 rounds of ammunition a from inside a single engine yola type vessel, north west of Puerto Rico Wednesday night. 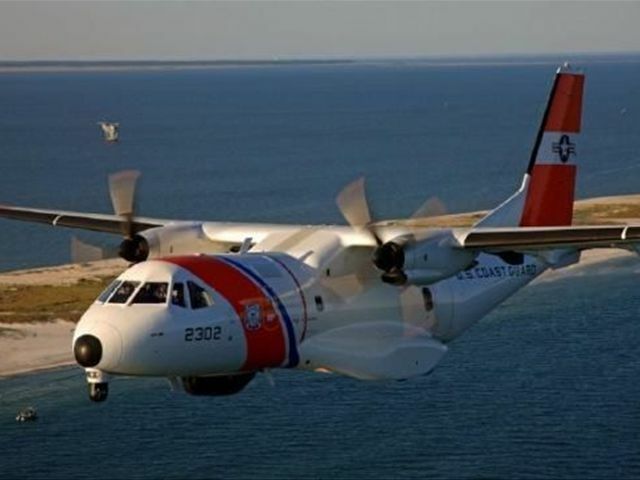 At midnight, Wednesday a U.S. Customs and Border Protection (CBP) Maritime Patrol Aircraft detected a vessel approximately 60 nautical miles northwest of Puerto Rico. The vessel had no visible registration, flag or markings. CBP personnel coordinated with watch-standers at Coast Guard Sector San Juan to intercept the vessel at sea. An HC-144 Ocean Sentry fixed-wing aircraft crew from Coast Guard Air Station Miami and Coast Guard Cutter Cushing were diverted to interdict the vessel. Cutter Cushing boarding team members located approximately $190,000, the weapon, and approximately 300 rounds of ammunition. The five individuals on board the vessel claimed to be citizens of the Dominican Republic. Cushing crewmembers team took custody of the five suspects aboard the vessel, currency, and weapon and transported them to U.S. Immigration and Customs Enforcement (ICE) Homeland Security Investigations at Arecibo for further investigation Thursday at the Mayaguez Sea Port, Puerto Rico.